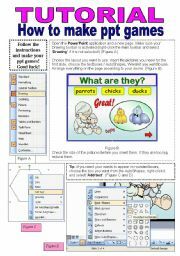 Tutorial with tips and tricks on how to create attractive worksheets. 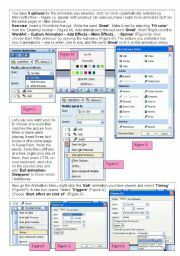 This ws can also be used as a template to start creating your own work. Enjoy! 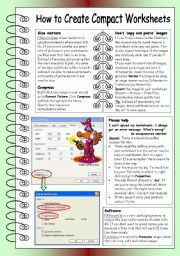 Tutorial with some useful tips on how (and where) to get fresh ideas and inspiration to create worksheets. 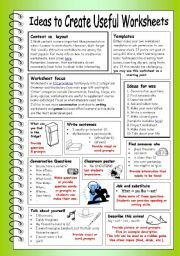 Includes creative thinking exercises on 2nd page. 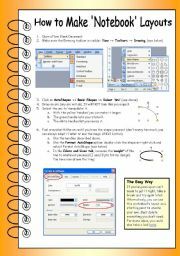 This ws with its clipboard and notebook layout can be freely downloaded and used as a template to create your own work. 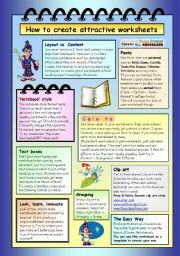 Get creative now! 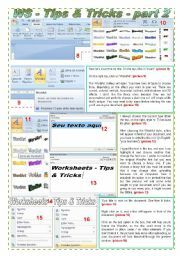 Tutorial with some useful tips and tricks on how to create new worksheets and ideas for new worksheet series. 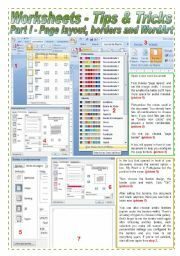 This ws with its notebook layout can be freely downloaded and used as a template to create your own work. 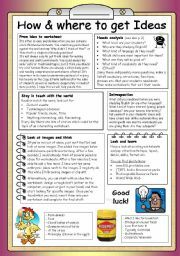 I´ll try to start some new series (like my Imaginative Reading Comprehension) which can be carried on by other members soon. 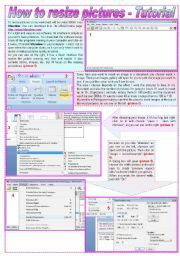 Classification of nouns, morphological composition of nouns, countable and uncountable nouns with different meanings, irregular plural forms, quantifying phrases, making uncountable words countable, adjective as nouns.